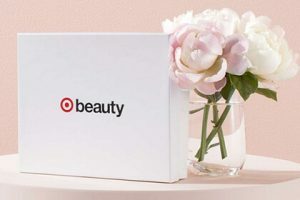 There’s no Target Beauty Box coupons or discounts right now, but sign up and get notified as soon as one becomes available. Target is a world-renowned company and its Beauty Box is a coveted source of beauty essentials occasionally offered to its users. The box always includes a mix of the most popular brands, with ever-increasing diversity. Target doesn’t accept subscriptions, so its beauty boxes usually go to the quickest buyers. Read more in our dedicated review.